If you want to buy a home, but aren’t sure if your budget can handle soaring real estate prices, we’ve got good news. There are things you can do to stretch your buying power. With the help of your real estate agent – and these 10 tips – you can become a savvy home buyer without breaking your budget. 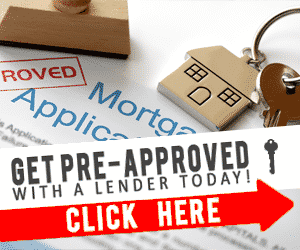 Get pre-approved for your home loan. This means, fill out a loan application and go through the process of securing financing. 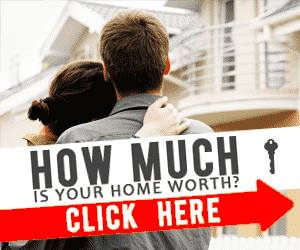 That way, when you’re ready to seriously evaluate real estate, you’ll know exactly how much home you can afford. And you can prove to a seller that your offer is sincere. Explore creative financing options. During the home loan pre-approval process, ask about ways to get creative with your financing. Low down payment options, first and second mortgage combinations and first time buyer programs might help you afford more funding. Many lenders are now offering interest-only home mortgages; just make sure you thoroughly evaluate the terms for this type of home loan. Down payment grants are also available in some instances and might be worth investigating or discussing with your realtor. Sell your existing home first. Although selling your existing home before finding new real estate to buy can be a little nerve wracking, any inconvenience will be offset by your ability to make an offer with cash in hand. Contingent purchases are not the best when negotiating to buy a home. Having your financing in order and your bags packed will give you the advantage in a competitive market. Look for vacant real estate. Perhaps a seller’s job has transferred him out of the area. Or maybe a family purchased a new home before putting their existing one on the market. In any case, a vacant home could be just the deal for a savvy home buyer, so have your realtor look for vacant property in your preferred neighborhoods. And keep in mind, the longer a house stays empty, the greater your negotiating power will be. Consider cosmetic fixers. If you’re handy with a paintbrush, a tool set and gardening equipment, consider buying real estate in need of cosmetic fixing. Property that lacks curb appeal needs minor handiwork or the yard overhauled could end up being the home of your dreams for a price you can afford. You just need to look beyond the ho-hum to see the potential of a cosmetic fixer. Buy a home that’s a major remodel project.  If you want to live on Lake Washington, but can’t afford a $2M home mortgage, consider buying a dilapidated cottage on a fabulous lot with western exposure. In time you’ll need to gut the existing home and build from the ground up or contract significant home improvements. But in the end your property value will skyrocket. And if your carpentry and other construction skills are well-developed, you can save even more and accrue “sweat equity” during your remodel by doing much of the work yourself. Don’t discount bank foreclosures. One person’s loss could be your gain if you buy real estate in foreclosure. Although the search for a decent foreclosure may take a while, your realtor should be able help. The U.S. Department of Housing and Urban Development (http://www.hud.gov/) can be an excellent resource for foreclosed properties. Because HUD houses are sold at market value, your best bet will be homes that need cosmetic work or even major repair. Land with a manufactured home. Sometimes, to buy a home on a budget, you need to look beyond convention. Even if your wish is to buy real estate, you may have to settle for a piece of property in an outlying area with a mobile or manufactured home. Discuss this option with your real estate agent and try to keep an open mind about this possibility. An older, smaller home. Older homes are typically priced much less than newer construction and don’t tend to create buyer bidding wars. If you can enjoy life in an older and smaller home in a neighborhood or suburb off the beaten path, this could be your ticket to real estate ownership. The cheapest house in the best neighborhood. You have your heart set on a specific – and expensive – neighborhood. Maybe it’s the schools that you’re interested in. Or perhaps it’s the close proximity to downtown or the waterfront. In any case, a budget-savvy buyer will look for the least expensive home for sale in the neighborhood. If you’re not in a hurry, you can even play the waiting game to see what properties come on the market. Your real estate agent can be a real asset in this case by investigating potential sellers. Buying real estate without breaking your budget will require research and compromise. On moving day, however, you’ll have the satisfaction of knowing that your homework paid off!